Over there in the left hand sidebar there are some new Buy It Now buttons for patterns. 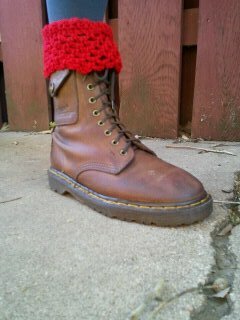 Simple crochet boot topper/cuff pattern that would be great for a beginning crocheter to show off. Single crochet through the back of the stitch and a simple mesh pattern on the top. 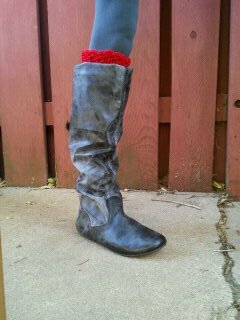 Adorable popping out the top of any height boots! 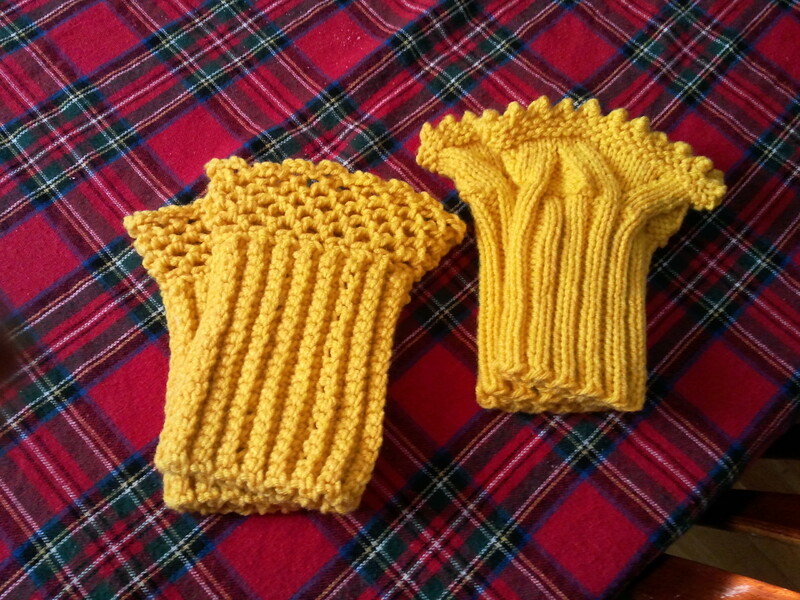 The crochet Mesh Boot Topper on the left, the knit Monkey Boot Topper on the right. 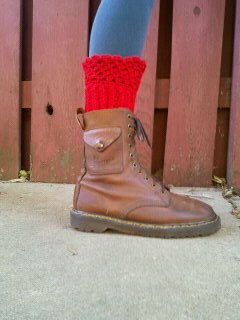 These knit boot toppers are adorable under your short or tall boots keeping your legs warm from that cool draft that likes to creep in. 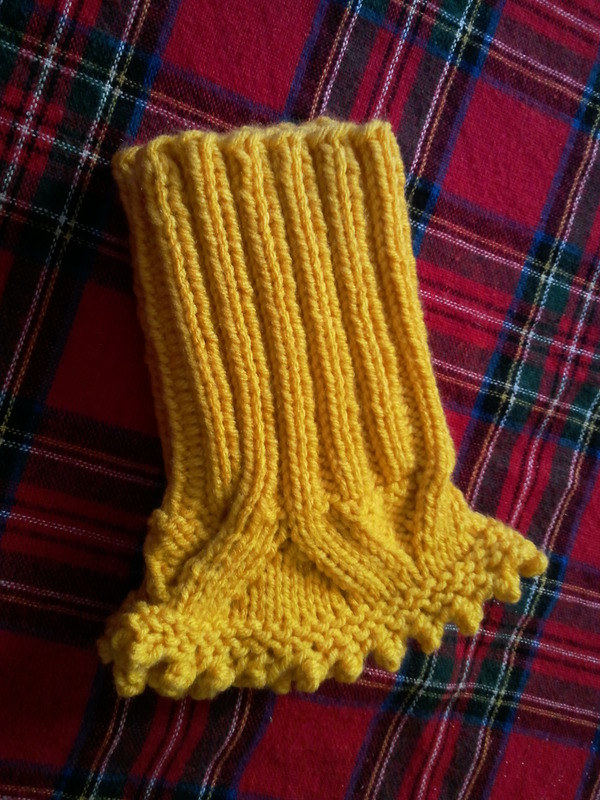 You can flip them inside out and fold the lace top over the cuff of your boots as well. There are tons of ways to wear these beauties!